A couple of weeks ago, Heather and I spent the day at a special Touch & Try event organised by the great people at the Riflessi Shop in Turin. 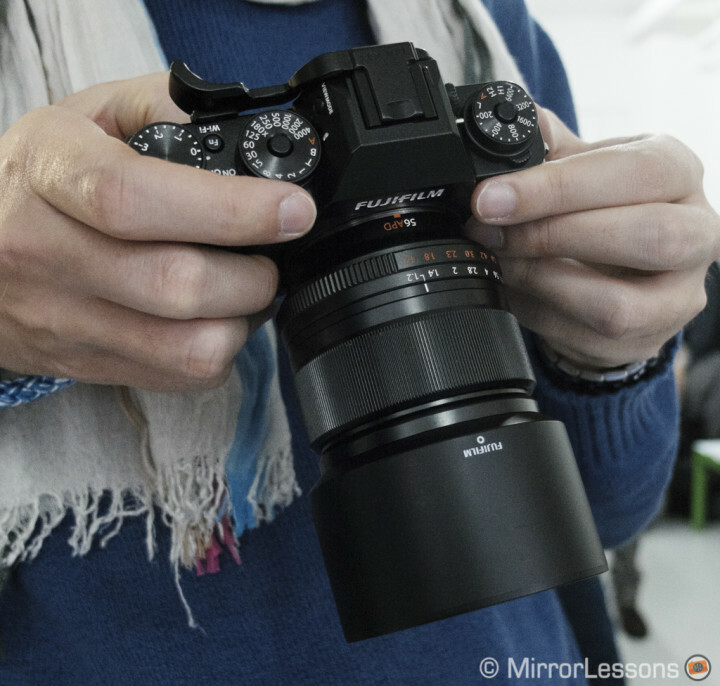 There we had the chance to have a second look at the new Fujinon lenses announced at Photokina, which we briefly tried at the event. 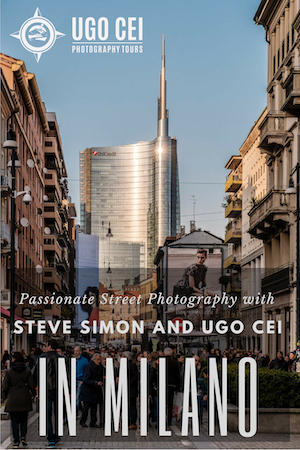 Due to limited time and the restricted location, this article isn’t an actual review of the lenses but a gallery of images taken in a studio environment combined with a few personal thoughts. While testing these different lenses, I came to the realisation of just how perfectly executed the Fujifilm lens road map is. The company has worked extremely hard to create as many tools as possible, not only for amateurs and enthusiasts but also professional photographers. One of the best ways to do this is to concentrate not only on the cameras but also the lenses. If we count 2015, in three years Fujifilm will have manufactured all the lenses users need for 99% of situations and just as with the X series cameras, the quality of these lenses is extremely high. From the first well chosen trio of focal lengths (a wide angle, standard and macro/portrait lens) to the latest addition, Fuji engineers have never seemed to veer away from the path. Thanks to the latest releases, the options for portrait photographers are now expanding, and with the lenses coming out next year, they will soon have everything they need to work. N.B. : all the pictures were converted from RAW files using Lightroom version 5.7 with Fuji Classic Chrome or Monochrome profiles. The Fujinon XF 50-140mm f/2.8 [/easyazon_link] sample I tested was a pre-production model so I cannot share full-sized images. However I have included a couple of 100% crops just to show you how sharp the lens is. Sharpness aside, I really like what I shot as far as contrast and overall image quality are concerned as well. The lens’ autofocus is very fast with the X-T1 despite being a pre-production sample and focusing is really quiet. The Optical Stabilisation seems to work well too. I didn’t try extreme slow speeds but I got a perfectly sharp shot at 1/30 which is a good result for a telephoto lens. The lens isn’t small or light, so for extensive use a battery or landscape grip for the camera might be a good investment. 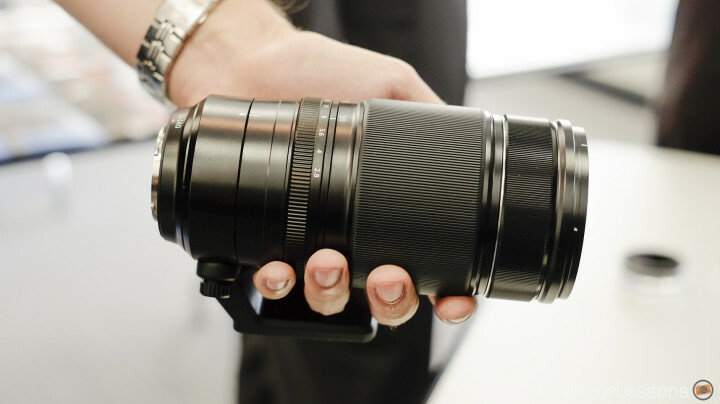 Those who like to work with smaller prime lenses may certainly find the 50-140mm big and heavy to carry around. The truth is that this is a professional lens and when you work every day shooting events or weddings, the versatility of such a range can be of use. 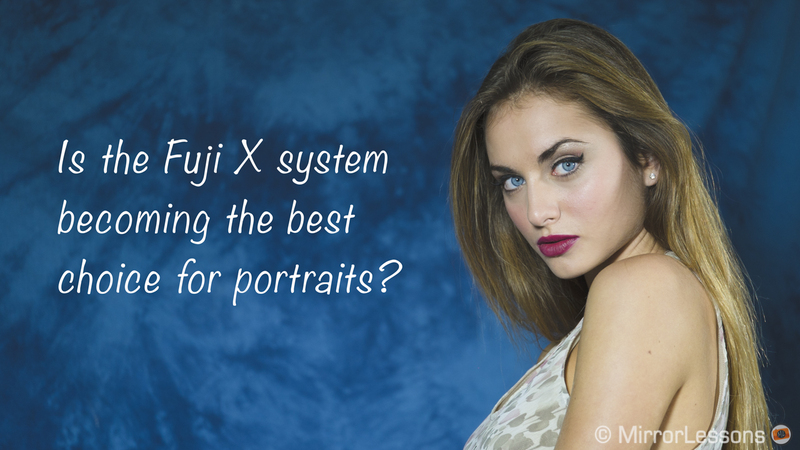 At the same time, however, many wedding photographers have proven that the Fuji X system can work well with just prime lenses. Before this zoom, it was almost a unarguable choice if you wanted to work with the system since the 55-20mm is too slow for many professional applications. In short, this lens has to be judged for what it is: an addition that increases user choice, and that expands the lens system with a focal lengths that have always been successful on other systems. The Fujinon 56mm f/1.2 APD lens is a very specific portrait lens–it has been designed for photographers who specialise in portrait photography and are able to take full advantage of it in various environments. It is a carbon copy of the already superb 56mm f/1.2 (check out our review here) but with an apodization filter inside that reduces the amount of light entering the lens by 1 Ev. This is why you will find the equivalent aperture in red on the aperture ring. The presence of the APD filter enhances the out of focus areas and this is the main reason for this lens’ existence. Taking shots in the studio, I couldn’t really make a comparison between the two versions but I saw various examples at Photokina. The 56mm APD version gives a look that can be considered closer to that of an equivalent portrait lens on a full-frame sensor. It is more expensive (around 400$ more) and for many situations the original 56mm 1.2 is the better choice, as it can also be more useful in low light conditions. Still, the new 56mm seems as good as the previous version and the quality is once again stunning. I didn’t notice a difference regarding the AF speed between the two 56mm lenses. It isn’t as fast as the 50-140mm but works well with the Fuji X-T1. I personally think that this lens is a statement from Fuji. The message is clear: they are targeting the professional market. After all, Fuji is perhaps the brand most photographers switch for, or at least integrate into their daily workflow. The APD version of the 56mm, niche as it may be, is a great example of Fuji’s dedication to the professional sector. N.B. : you can download one picture at its original resolution on our Flickr account. 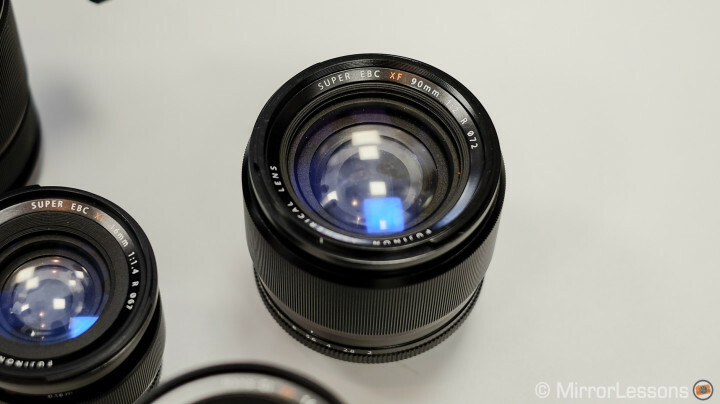 The Zeiss Touit 50mm f/2.8 lens is less recent than the first two lenses and has been designed mainly for macro photography (see our gallery here) but since many of you asked me how it would perform as a portrait lens, I decided to give it a try. My feeling after the Fuji Day is that it performs well as an alternative portrait lens. You don’t get the same delicate look as the XF 56mm lenses nor the same shallow depth of field but I think that the Touit can work well for studio work especially if you want good sharpness. However the f/2.8 aperture won’t give you the same dreamy bokeh unless you focus close enough to the subject. I wouldn’t recommend the Touit 50mm to portrait photographers but for occasional work it can do fine (as long as your main interest is macro photography of course). 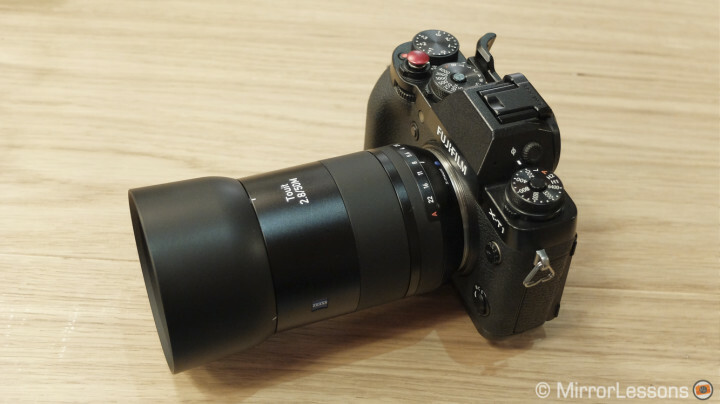 This lens has a main rival however, which is the XF 60mm f/2.4. It is more limited for macro shots as it doesn’t give you a 1:1 ratio, but proved a good portrait lens when the 56mm didn’t exist yet. Next year Fujifilm will release another portrait lens, a 90mm f/2 (135mm equivalent on 35mm format). At that point, the lens system will have a very complete set-up for portraiture. Two standard 85mm equivalent focal lengths with one being a “special edition”, one 135mm equivalent lens, and a 50-140mm f/2.8 which seems to be the perfect versatile telephoto zoom lens many photographers can use for events, weddings and portraits – the more I see the lens roadmap, the more I think that Fujifilm is doing the right thing: investing in lenses that can satisfy both amateurs and professional photographers. When the next generation of cameras is ready, the lens system will already be there waiting. Which of these lenses interests you the most and why? Share your thoughts below!